John is recognized by kids of all ages for being the only actor to voice a surprise character in every single Pixar film. He can currently be heard in the new film Coco and will be reprising his role as The Underminer in The Incredibles 2. Star Wars fans worldwide know John for his role as Major Derlin in Star Wars: The Empire Strikes Back. Those same fans will recognize him from another huge franchise; Superman 1 & 2! Horror fans remember him from House II and Motel Hell, films which are on the opposite side of the spectrum when it comes to what kids know him for today! 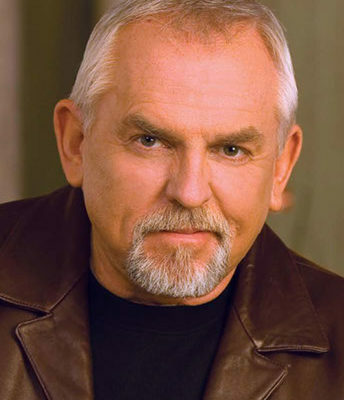 John is best known for playing mail carrier Cliff Clavin on the popular sitcom Cheers. He read for the part of Norm Peterson, but sensing they weren’t going to give him the part, asked if they had written a “bar know-it-all” into the series, which the producers decided was a great idea. Cliff became known for his outlandish stories of plausible half‐truths, irrelevant trivia, and ignorant misinformation, and was known for being an overall pretentious blowhard. IMPORTANT NOTE: For details on John’s autograph policy, please follow this link.